UPDATE: Our long-running Tuesday night free satsangs in Santa Barbara have ended, due to my wife Laura and i moving to a home in Vistancia (in the desert at the northwest edge of Peoria, Arizona), to be close to several of Laura's family members. Already one new gathering has started, a monthly free satsang held at a private home in Scottsdale, AZ. Email me at t.conway1@cox.net for further information, and please briefly share something about yourself, your background, your interests. Additional satsangs, including an ongoing online satsang, will be starting soon. NOTE: Many FREE MP3 AUDIO FILES of my satsang talks from 2013-2016 are available via the "Satsang Audios" section of this website. No fees or "suggested donations"—Truth is free. God or Spirit alone is Real. We abide freely in this boundless Awareness and Aliveness, letting the bodymind be spontaneously active in a dreamlike world (serving and loving all). So join us for time in our real nature as nondual Awareness-Love, the One Who is right Here as formless Vastness, the One we see shining in the eyes/hearts of all beings. Program: Our time together is for intuitively realizing true Identity in Spirit for the sake of being truly free, happy, and compassionate. Satsangs include med­itation, presentations by Timothy (and occasional guest speakers), Q&A, deep spiritual discussion, “heart humor,” spontan­eous truth-sharing from any­one present, and occasional readings from the sages and joyous/soulful singing and/or sacred music. Timothy Conway (“a figure in the dream, pointing to the Divine Dreamer”) has studied and practiced the nondual essence of our sacred tradi­tions since the early 1970s. He has met many enlightened masters, esp­ec­i­ally in Advaita Vedanta (Sri Nisarga­datta Maharaj, Sri Ramana Maharshi’s immediate followers, and others) and various lines of Buddhism, as well as spiritual adepts in Daoism, Sufism and mystic Christianity and Judaism. Timothy has freely shared the “pathless path” of deep spirituality since the late 1980s. 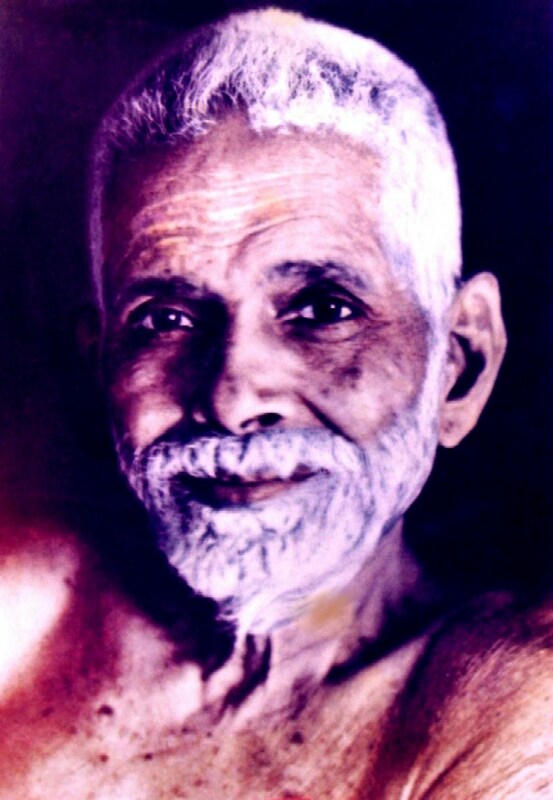 The beloved, eminent sage Sri Ramana Maharshi (1879-1950) has so beautifully and simply taught the highest truth: "Why does someone suffer? Because one imagines oneself other than what one in reality is, e.g., the body, this, that, and the other. ... In reality one is the intelligent 'I AM' alone, stripped of qualities and superimpositions, of names and forms.... The wise one simply is. 'I Am That I Am' sums up the whole truth. The method is summed up by 'Be still and know that I am God.'" 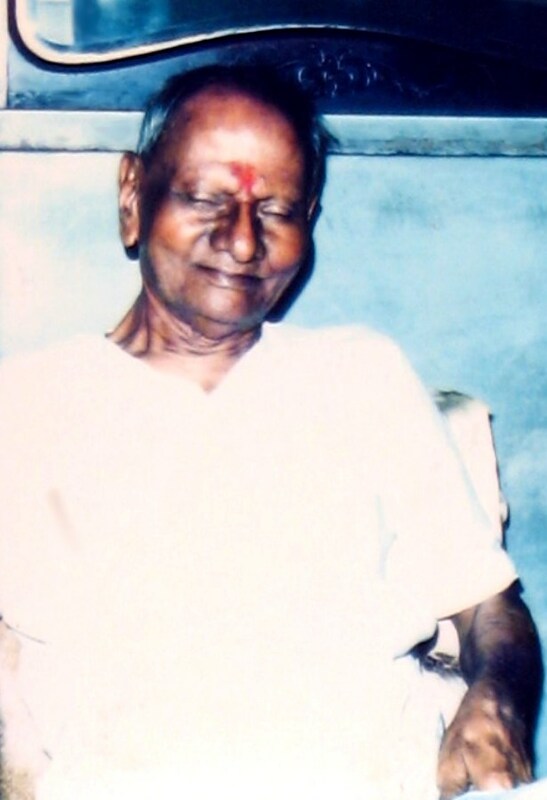 The renowned sage Sri Nisargadatta Maharaj (1896-1981), in a very early written work, Self Knowledge and Self Realization, published in 1963, stated: "The ever-awaited first moment was the moment when I was convinced that I was not an individual at all. The idea of my individuality had set me burning so far. The scalding pain was beyond my capacity to endure; but there is not even a trace of it now, I am no more an individual. There is nothing to limit my being now. The ever present anxiety and the gloom have vanished and now I am all beatitude, pure knowledge, pure consciousness.... I am ever free now. I am all bliss, sans spite, sans fear. This beatific conscious form of mine now knows no bounds. I belong to all and everyone is mine. The 'all' are but my own individuations, and these together go to make up my beatific being.... Bliss reclines on the bed of bliss. The repose itself has turned into bliss.... All the characteristics of the Saint naturally spring from his experience [as the nondual Self of all]. As there are no desires left in him, nothing in the world of sense can ever tempt him, he lives in the fearless majesty of Self-realization. He is moved to compassion by the unsuccessful struggle of those tied down to bodily identity and their striving for the satisfaction of their petty interests.... The Saint who has direct experience of all this is always happy and free from desire. He is convinced that the greatest of the sense experiences is only a momentary affair, impermanence is the very essence of these experiences; hence pain and sorrow, greed and temptation, fear and anxiety can never touch him...."
The amazing "hugging Mother," Mata Amritanandamayi (b.1953), widely known around the world simply as "Amma," has revealed her own state and everyone's true Divine Nature: "A person who is blinded by ego will forget others, because he is selfish. Having no concern or compassion for others, he lives in a small world of his own and sees everything as different from himself. He and everyone else are separate entities as far as he is concerned.... But the vision of a Mahatma [a liberated "great being"] is entirely different. Having emptied his mind completely and filled it with love and compassion, he is egoless. He is wide awake and His all-pervading consciousness sees and hears everything. Everything happens within him. Within him, the entire universe exists. He is the universe.... Nothing is different from him.... Love cannot contain two. It can contain only one. Love is purnam, it is Fullness. In Love's constant and devoted remembrance, 'you' and 'I' dissolve and disappear. Love alone remains. The entire universe is contained in that pure, undivided Love.... Love is all-pervasive. [...] Once egotism is removed, you are no more a person. You become Consciousness. You become formless. The ego is the material which gives name and form. Once the ego is destroyed, name and form are gone. You may give a name to the saint and you may attribute a form to him, but he is neither.... He becomes space.... The entire cosmos with all its objects ... can just pass through him. And he simply remains untouched ... and unperturbed. He lives silently, peacefully, and blissfully. Because he is egoless, he is 'no-mind.' Here is another way of looking at it. While remaining under water, we don't feel the weight of any things we carry, no matter how large the quantity. But come out of the water and try to carry the same things. You may not even be able to move them an inch. Likewise, the Mahatma [great being] dives deep into the whole of existence. He becomes existence itself, and buoyant in this space of existence, the 'burden' he carries is weightless. Thus, it is not really a burden, for, in reality, he is completely unburdened since he is egoless. A saint lives in love. He lives in compassion. A saint is the embodiment of love and compassion. And in pure love there is no burden. Nothing can be a burden to pure desireless love. Real love can carry the entire universe without feeling any weight. Compassion can shoulder the suffering of the entire world without feeling the slightest bit of pain. What we call the heavy burden of the entire world is weightless for a Mahatma. He carries this so-called 'burden' out of sheer joy and bliss. But in fact, he does not carry it at all. He cannot carry anything because he is not a person, he is not a form. He is space itself and space can contain anything.... Everything will fit in space, and still there will be plenty of space 'in space'—meaning, limitless Space.... There is no division in that state; one becomes totally undivided. In fact, there is only Space [Consciousness]. Division is created by us.... The [selfish] ego creates division.... Remove the ego and you will again become Space."